We’d love your help. Let us know what’s wrong with this preview of Self Hypnosis by Matthew Stewart. Learn everything You Need to Know about Self Hypnosis Once and for All! This book is for anyone looking to master the art of Self Hypnosis. Believe it or not, but within this easy to read book, I can teach the exact principles I use on a daily basis to master Self Hypnosis easily and effortlessly. I’ve been practicing and teaching Self Hypnosis for over 10 years and the strategies you will learn in this book will change your Hypnosis abilities forever. Take my hand and let me bring you along on this amazing Hypnosis adventure! By the time you finish reading this book you are going to be able to confidently practice Self Hypnosis and execute a wide array of proven Hypnosis techniques with minimal effort on your part. Regardless if you are a beginner, intermediate or advanced Self Hypnosis student this book will have strategies that can take your Self Hypnosis game to the next level! > In this book you will learn how to master Self Hypnosis in a very short period of time! > This book will teach you step – by – step the exact process you need to become a Self Hypnosis y expert! 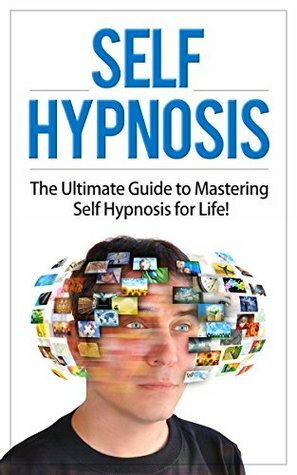 > In this book you will learn how to execute some of the most difficult Self Hypnosis techniques people have the most trouble with. > This book will guide you through the process of being able to EASILY Hypnotize practically anyone regardless of their personality type! > This book will teach you everything I’ve learned about Self Hypnosis over the last 10 years. > In this book you will learn what it takes to be the best Hypnotist aficionado possible! Let's Learn How to Master Self Hypnosis Together! Download Your Copy Right Now Before It's Too Late! To ask other readers questions about Self Hypnosis, please sign up.